Self-initiates into Wicca haven't the benefit of a coven to guide their path. As a High Priestess, let me point you in the right direction. If you are serious about becoming a Wiccan, then close this page and get out a notepad. It can be digital or real world, it doesn't matter as long as you can write on it and save it afterwards. Ask yourself precisely what you believe Wicca to be. What are your preconceptions here? Search your heart, mind and soul, then keep a record. It can be in bullet-points or an essay. It can be in comic form or artwork, whatever you prefer. Now come back and read on. This is the perfect time to be awarding yourself gifts, that you will really appreciate in the future. Have you saved your note on what you believe Wicca to be? I won't embarrass you by asking you to share them amongst your peers just now, because you must all be panicking that you'll somehow have it wrong and everyone will laugh. 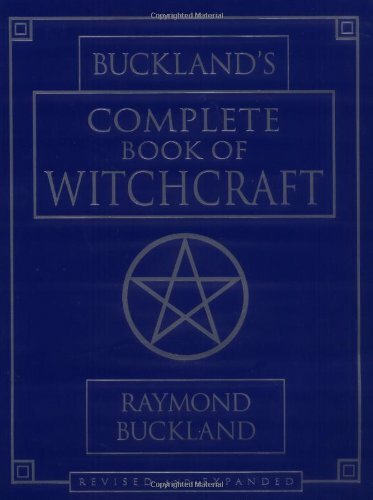 I've based this introduction on the understanding that you know very little about the Wiccan religion, so no-one will be marking your notepad. It is for your records only. 1, As you walk these ways, it will sometimes feel like you've got nowhere and that you know less than when you started. These are the times when you can open that paper and re-read it, comparing it with where you will be at the time. You will see your progress for yourself. It is a talisman against future panicking. 2, You are currently in a unique position, which will never be repeated in all your Wiccan journeying. You are at the start. From herein in, you will have taken huge steps and have acquired the knowledge and skills which accompany them. One day, you will have initiates of your own and you'll wish you could remember what it was like to be at the very start. Your papers will tell you. It is a reference for use in your own future teachings. If you have failed to write it, then you have deprived yourself of these two gifts to yourself. If you have written them, then file them away. They are yours. Of course, the most astute amongst you will have noticed that I told you to stop reading before explaining anything else. I also asked you to close this page, before giving you a single question to answer. Those who did just that have no need of High Priestesses telling them what to do, even as an advisor. They might be the greatest witches of all. They pay attention to the small things and they find their own spiritual way. That is the essence of Wicca. Did you make a record of your Wiccan preconceptions? Yes - and I'm glad that I did. Yes - but now I'm wishing that I hadn't. No - and I'm glad that I didn't. No - but now I'm wishing that I had. It is a Pagan religion, which draws active inspiration from the natural world, solar system and the spirit within. If twelve luminaries of Wicca had to answer the initial question, the way that you did, then you would be guaranteed a dozen different, possibly contradictory answers. Even the definition is problematic - for some it is a religion, for some a practice, for some a craft - before we get as far as discussing the fine detail. The reason that Wicca is so hard to define is that it's not a 'received' religion. By that I mean that there is no-one standing in front of a congregation giving a sermon; and no equivalent to the Pope or the Archbishop of Canterbury to lay down dogma. In fact, there's no dogma. You won't find a list of thou shalts to learn and abide by, so, in reality, there's nothing stopping you declaring yourself a Wiccan right now and announcing that your Wiccan practice consists solely of watching the telly and occasionally eating chocolate. Except for one thing, you would be hard pushed to find another Wiccan willing to take you seriously; and if you were asked to defend that within Wiccan practice, you'd be struggling a bit. You will also find some traditionalists who will want you dead, if only they could find a way to do that which 'harms none'. Harming none? There it is, the closest we get to dogma. No witch will accept dogma of any sort, shape or form. That established, the Wiccan Rede is the dogma that we don't have. 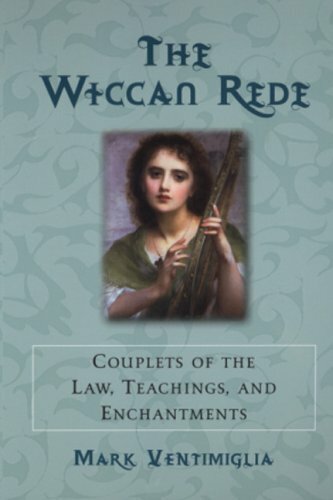 The Wiccan Rede is possibly only a few decades old and may have been written by Aleister Crowley (not a Wiccan) or adapted from his works by Doreen Valiente (note the name, commonly thought of as the 'Mother of Wicca'; therefore she's the Pope figure that we don't have). While this is the version recited publicly by Valiente in 1964, there is a longer poem of the same name. It was produced a decade later and published in Earth Magazine. A minority of Wiccans don't accept the Wiccan Rede in their practice, but most do, as it encapsulates what it is we do, think and believe more than anything else. What is the Rede saying? Superficially, it sounds like you can do what you want, as long as no-one's getting killed in the process, but try living by it for a while and you soon see that it's a little more complicated than that. It helps if you can understand the words in it. 'An' isn't short for 'and', it's old English and means 'if'. In modern standard English then, the Rede says, 'do as you will IF it harms none'. How do you interpret the 'harm'? Does it simply mean that you can't bludgeon to death the next person who upsets you? Or does it mean that you cannot harm in more subtle ways, e.g. insults or inconveniencing them? How do you interpret the 'none'? No-one except *insert prejudice or 'anyone who touches my kids'*? Or does it mean all human beings? Furthermore, does it include all animals? How about fish? Insects? If you walk down the street and accidentally crush to death an ant, because it's dark and you didn't see it on the pavement, have you broken the Wiccan Rede? Don't look to me for answers, because the other major thing about Wicca is that, as an active spiritual path, it is for you to decide. 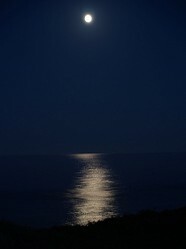 You are forging your own dialogue with the Gods, Goddesses and the natural world. 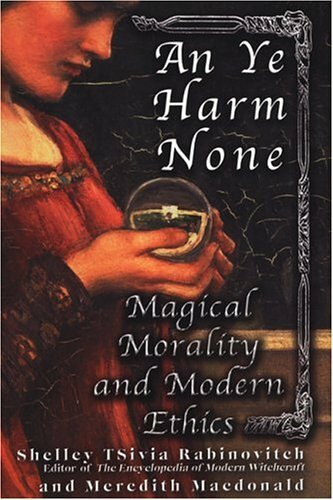 You need to ask yourself how you are going to interpret 'harm none', which, in turn, could well be the most important question to meditate upon throughout your magical life. One thing that I will add to your thoughts on the subject is that in not harming anything in the natural world, you have to include yourself. You are part of nature and you are your own closest access to the natural world. The Rede does not ask us to sacrifice ourselves unto death in order to fulfill the 'harm none', though anything which merely inconveniences us is probably on the line. For example, I know of many people, who have become vegetarians because they determined that the 'harm none' didn't allow for them to kill another living thing, when they could survive without meat quite easily. This is perfectly defensible, but what if, like my cousin, the vegetarian diet, no matter how carefully researched and balanced, ended up affecting your health? She's diabetic and anemic. In becoming a vegetarian, her body lost precisely the irreplaceable nutrients to keep her alive, thus she harmed herself. I personally would say that, in that instance, the first consideration, within the 'harm none', is not to kill herself. Can you think of any other situation where not harming yourself might supersede the intent not to harm another? Back to the Rede - 'An it harm none do what ye will'. We've looked at length about the first part of that, but what about the second? 'Do what ye will' doesn't say 'do what you want' or 'do what you fancy', it quite specifically says, 'will'. There's a reason for this, which is in the triple meaning of the word 'will'. It can mean 'want' and it can mean 'stuff you want to happen after you're dead'. We're interested in the third meaning, which is summed up in the saying, 'where there's a will, there's a way'. It's all about willing something to happen. As a Christian, Jew or Muslim, you might pray to deity to try and affect something out of your control in this world. You would be willing deity to intercede; speaking or thinking very, very hard to influence what happens next. In Wiccan terms, you will be doing energy-work, which is also known as spellwork. You will be doing witchcraft. This isn't one to which I personally subscribe. It's a later version than the eight words one, which I was taught. If you feel good with that, then you've already found your religion. Don't let anyone tell you differently. Regardless of whether there's a label on our spirituality or not, we should still all own our views. I'm right there with you on that one. I feel like I've been "shopping" around spiritually all my life. My parents left it up to me to choose, Dad being Catholic, and Mom being Dutch Reform, very repressive. I do find thoughts I like in several religions, so I actually have sort of been putting them all together, and feel good with that! We all have our own path anyway, so why not our own spiritual views? I feel like I've been "shopping" around spiritually all my life. My parents left it up to me to choose, Dad being Catholic, and Mom being Dutch Reform, very repressive. I do find thoughts I like in several religions, so I acually have sort of been putting them all together, and feel good with that! We all have our own path anyway, so why not our own spiritual views? I'm sorry that your first experience of Wicca had to be someone like that. Wicca doesn't teach that sort of attitude. Do as thou will an it harm none, is what we're supposed to be doing here. Prejudice and being overly critical harms people. It sounds like you shop around a bit in your spirituality, which is great! No one way has to be the right or wrong one. There's nothing stopping you picking and choosing from a range. Then put them all together, with your own thoughts too, to create your own personal path. I read tarot out of a store run by a Wiccan woman. She does Reiki healing. But I've found her to be a very petty and critical person, also prejudiced, and that troubles me, to the point I stopped reading and frequenting her business. I like the way there is no deity, that nobody stands between you and the Earth telling you what to think. The way she practiced it, it seemed she was just substituting the Goddess for God, and her ways were hurtful to others. 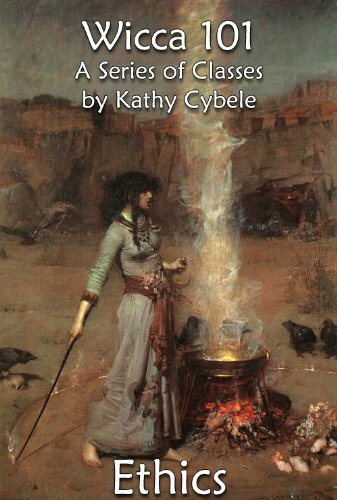 I feel better now that she is out of my life, but think I will read some books on Wicca. I have been interested in Buddhism lately too (I am interested in other religions but have never committed to one). I meditate and have psychic visions, so I use that to help guide me and keep me balanced. I like the spirit of Wiccan. Thank you for your comment. I think that, whether we like it or not, it's in human nature to want to have a set of rules and a leader. 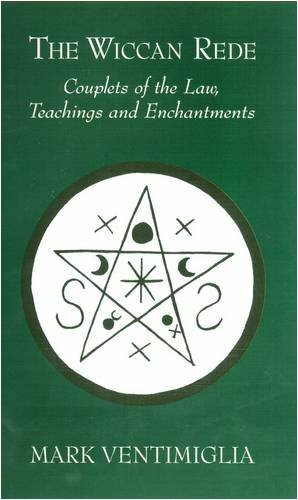 I've certainly seen many attempts to codify, ravage and lead Wicca over the years. Doreen Valiente herself had to step in, during the Pagan Federation conference of 1994, to tell people to stop fighting and just embrace our similarities. That was an attempt by some people to impose rules too. Wiccans tend to resist such things, though some bits sneak through. I can't speak for Shakyamuni, but I would be honoured if he was Wiccan in spirit, if not denomination. Wicca is both easy and hard to follow, just in the way that nature and life itself are both easy and hard. We get our inspiration from the natural world, so that's hardly surprising. Thank you for this. In all my studies of Religions over the years Wiccan appears to me to be the one that you automatically practise whether you believe in it or not, whether you decry it or not, or even if you have never even heard of it. However, lately I have noticed a plethora of writing coming out that seems to be trying to codify it and thus take control of it and Wiccan practitioners. I believe that Shakyamuni - the Buddha - was in fact a Wiccan. Later on, of course others took over what he was saying and codified his teachings to control Man.